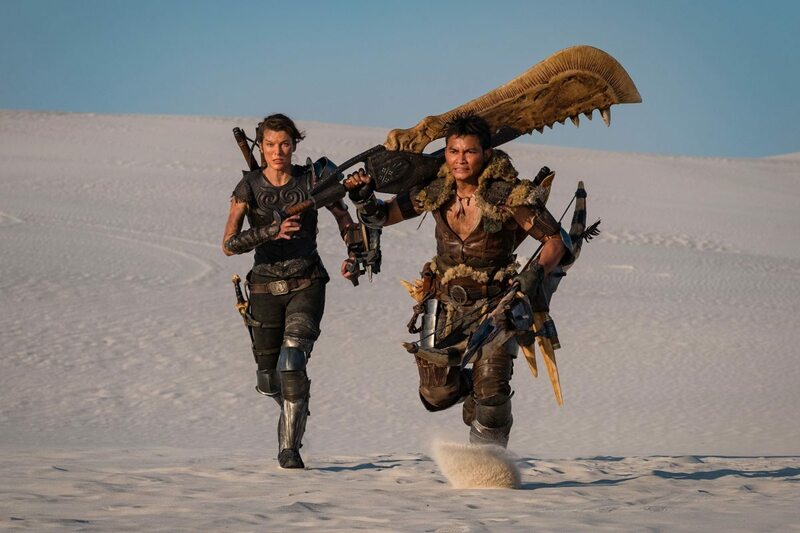 The live action Monster Hunter movie’s synopsis reveals Jovovich’s role, as the action/adventure video game sees its first silver screen adaptation come to life. The monsters will be vicious, and surviving their battles will be no small feat for the Lieutenant and her crew. Thankfully, help arrives as a mysterious man called The Hunter, played by Ong-Bak‘s Tony Jaa, joins forces with Artemis to give the protagonist a shot against the titanic creatures. The Monster Hunter live action movie is in post-production, and also stars Tip “T.I.” Harris (Ant Man), Meagan Good (Minority Report), Diego Boneta (Scream Queens), Josh Helman (X-Men: Apocalypse), Jin Au-Yeung (Fast & Furious series), and Ron Perlman (Hellboy). Monster Hunter games date back as far as the PlayStation 2 era, and have sold over 52 million units worldwide. The latest title in the game series to release was 2018’s Monster Hunter: World. Husband Paul W.S. Anderson of star Jovovich will direct the Monster Hunter live action film. The two also worked together in Jovovich’s massively popular Resident Evil series. Jovovich seems to have found her Hollywood niche in video game movie adaptations, with the six Resident Evil films grossing an impressive $1.2 billion worldwide. The Resident Evil film series has seemingly seen its last installment in 2016’s Resident Evil: The Final Chapter. Producer Constantine Film will release the Monster Hunter film based off of the Capcom video game series on Labor Day weekend, 2020.